Harvard University Press, 9780674817517, 169pp. The Ancrene Wisse is a spiritual guide for female recluses, written at the request of three young anchoresses who were voluntarily enclosed for life within small cells. With rare sensitivity and discernment, Linda Georgianna analyzes this complex and skillfully composed treatise and examines its detailed portrayal of the rich, sometimes rewarding and sometimes frustrating inner life of the solitary. Georgianna sees in the author's practical and spiritual counsel, ranging from advice on owning a cat to the confession of sin, an assumption that exterior and interior realities are inextricably bound in the solitary life, which becomes a highly self-conscious journey through human experience. 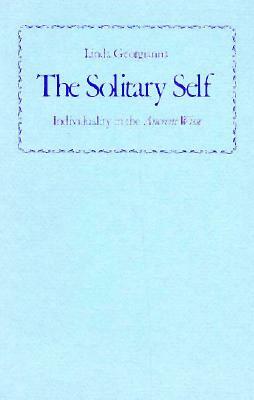 The Solitary Self offers both a reading of this linguistically difficult text and a study of those contemporary intellectual and cultural concerns--particularly the widespread interest in the psychology of sin, confession, and repentance--which help to explain the Ancrene Wisse author's insistence upon self-awareness and individuality in the solitary life.